This fun introduction to Egyptian culture will delight grade-schoolers. 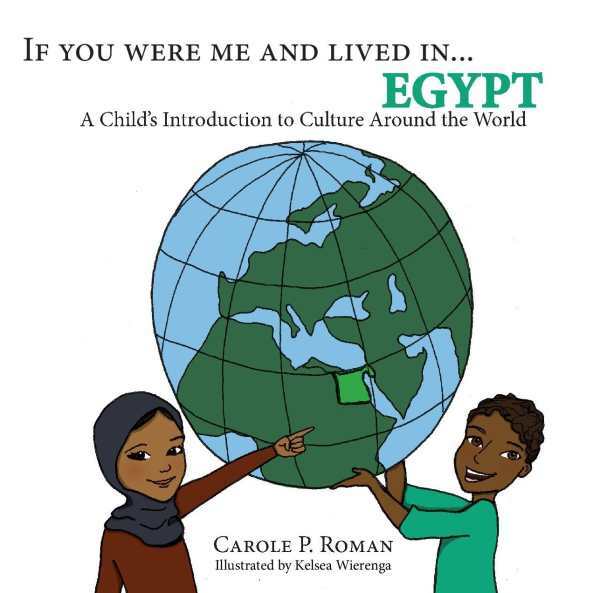 Kid-friendly text and photos enlighten students on one country’s unique culture in Carole Roman’s If You Were Me and Lived in…Egypt, a delightful addition to her educational picture book series. The story follows a young sister and brother as they move through Cairo, presenting information on the history, food, sights, festivals, and traditions of the country. This slim book is full of details that will appeal to kids, such as what to call one’s parents and grandparents, what passes as dessert in another country, what games their counterparts play, and what their name might be if they had been born there. Direct cultural comparisons prove to be an effective device. Forty-six unfamiliar words are introduced, and each is immediately followed by a pronunciation guide, often with an accompanying comprehensive definition. Images are evenly divided between color illustrations and photographs layered with cartoon graphics. While such pictures are usually confined to one page and text to another, a few illustrations take up two-page spreads. Such expansions usually work, though the pages given to the pyramids become busy with text and pictures, and the text is somewhat hard to read as a consequence. Two tiny pyramids align with each even page number, and this is a fun design element. A prompt related to a madrasa may cause some confusion, as the picture of the school is hard to identify. Questions may also arise related to the female character’s hijab, which is not explained or addressed. This seems a missed opportunity. This is a good introduction to Egypt’s culture for middle and upper elementary school children, their parents, and their teachers, who will benefit from its mini-lessons as an exercise in global diversity.